Are you a planner that loves decorating your planner to be a little more festive than it normally comes? Maybe you like color coordinating your months to match? This Monthly Skeleton made to fit Erin Condren's monthly Life Planner pages is the perfect set for you! With this set, you will receive a sampler of stickers that will help you decorate your monthly spread, including some great functional stickers that match perfectly. 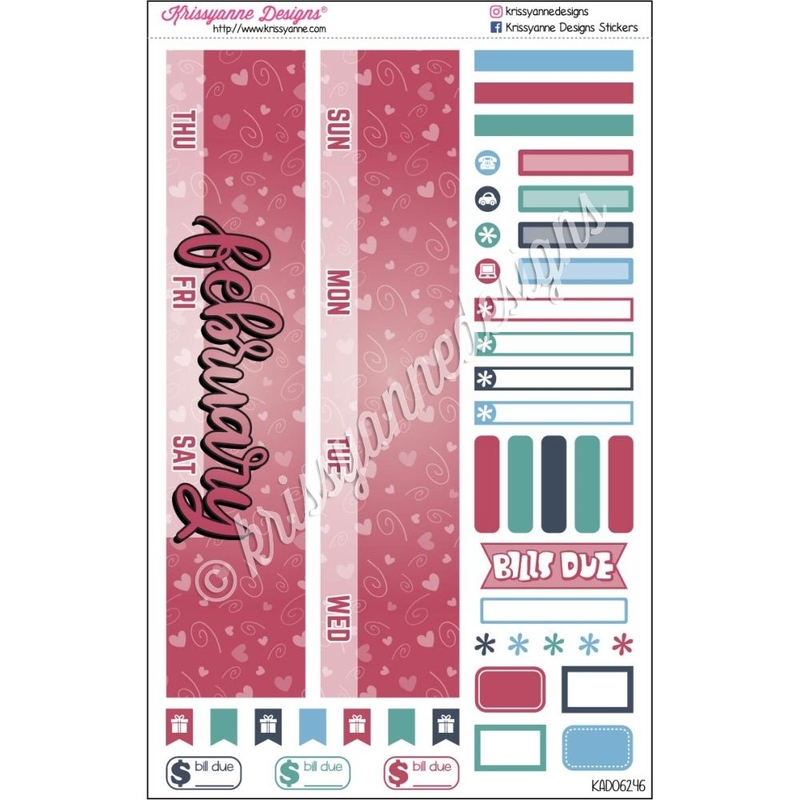 The set includes 2 larger stickers to go across the top of your monthly spread, a box to cover the "goals and to do section," 3 decorator strips, and several functional stickers including asterisks, birthday flags, bill due stickers, and more.